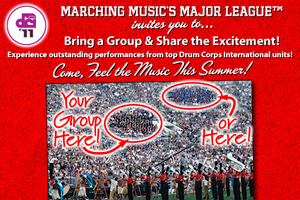 Drum Corps International is excited to welcome your group to a DCI Premier Event this summer! No matter what kind of group you are, as long as you have 20 or more, you can enjoy a number of discounts and benefits when attending a show. Along with special discounts, groups are given specialized attention. We want to make sure that organizing your outing is easy for you and an unforgettable experience for your group members.